If you’re lactose-intolerant, finding delicious, healthy, and sustainably made dairy-free ice cream at your local farmers market can be a challenge. Meet of Kubé Nice Cream popping up at Jack London Square Farmers Market, in partnership with Mandela MarketPlace. While their medium is cool and delicious scoops of coconut ice cream, Kai and Nee-Nueh Nortey have a bold vision for food justice, community health, and economic empowerment. 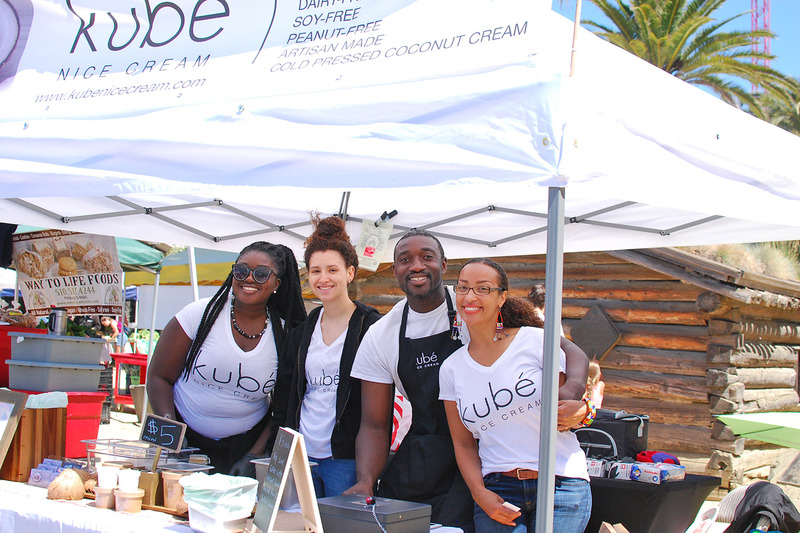 Kubé Nice Cream was born out of Kai and Nee-Nueh’s shared quest for self-healing through food. Lactose-intolerant and navigating various food allergies, they delved deep into organic gardening and raw food to take back their health. While on a trip to Ghana, they had a delicious and healing awakening while enjoying fresh, raw coconut. “We thought, ‘This is what we’re missing,’” says Kai. Back home in Hayward, they started researching the fruit and learned about the positive health benefits of raw, unpasteurized coconut cream, including the presence of lauric and caprylic medium-chain fatty acids, which have been known to improve gut health. They also discovered the downsides of pasteurized, commercially available coconut milk, which includes chemical preservatives such as sodium metabisulfite, which has been known to cause severe allergic reactions. So the couple went back to the source. 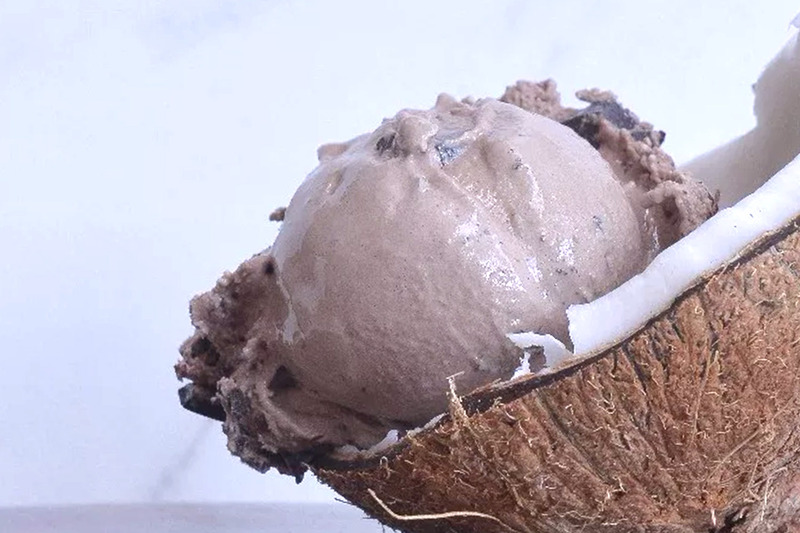 They began experimenting with raw, mature coconuts to make an unpasteurized, non-dairy ice cream that was easy on the gut and unctuously smooth. 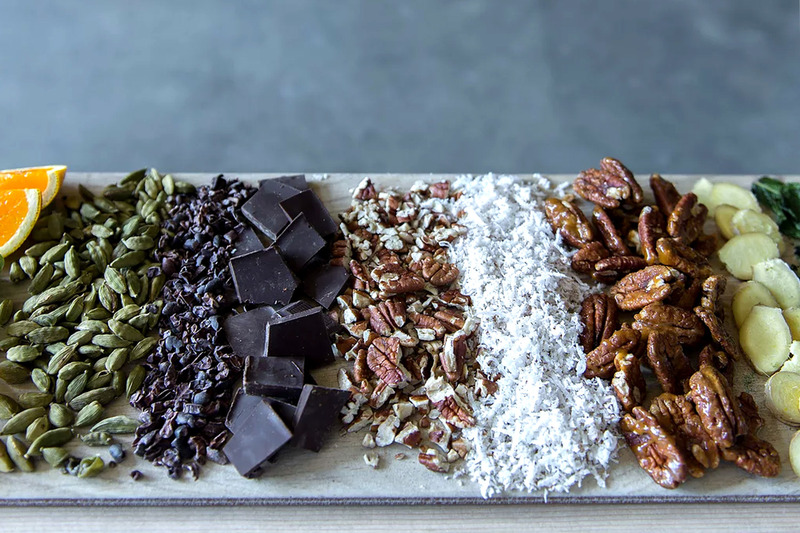 Kubé’s coconut-based ice creams include flavors such as Key Lime, Salted Caramel, Turmeric Orange, and Dark Chocolate Chip—all made with real fruit and chocolate, of course. Their sales avenues have primarily been corporate and cultural events, weddings, and most recently, farmers markets. That’s where Mandela MarketPlace comes in. Based in Oakland, Mandela MarketPlace is a 15-year-old nonprofit with a mission to “work in partnership with local residents, family farmers, and community-based businesses to improve health, create wealth, and build assets through local food enterprises in low-income communities.” Their scope has many facets, including healthy food access, community engagement and food education, and business cultivation. With a focus on limited-resources entrepreneurs, who tend to be entrepreneurs of color, Mandela works with food entrepreneurs and farmers through varying levels of engagement depending on their needs, from group workshops to one-on-one advising to longer-term incubation support. One of their success stories has been partnering with the worker-owned Mandela Grocery Cooperative, a full-service grocery store in West Oakland that opened in 2009 to increase access to healthy foods and provide job opportunities. The nonprofit’s current incubation partners include Zella’s Soulful Kitchen, Mandela’s Produce Distribution, and Ashland Market & Café. Kai was introduced through Mandela MarketPlace through a workshop, and later reached out for one-on-one business advising. Having established a strong brand and product, she was eager to take the next step into farmers markets and retail, as well as planning for future growth. Simultaneously, Mandela MarketPlace was in conversation with CUESA about offering a rotating pop-up booth at the Sunday Jack London Square Farmers Market. Launching this August, the pop-up offer entrepreneurs direct-sales experience, which provides a low-barrier but crucial next step in growing their sales channels, getting direct feedback from customers, and developing their product. Kubé Nice Cream was ripe and ready for the opportunity. As Kai notes, the majority of the world, including up to 90 percent of the Asian and African diaspora, is lactose intolerant, providing an enormous opportunity to serve people with healthy, sustainable, and exciting dairy-free alternatives. With ambitious plans on the horizon, Kubé will be launching a crowdfunding campaign soon, with sights on investing in a production facility, branching out into select grocery stores, and eventually opening a storefront. With help from Mandela MarketPlace and the local community, Kubé is taking strides to re-envision their own supply chain, one rooted in self-determination and equity. 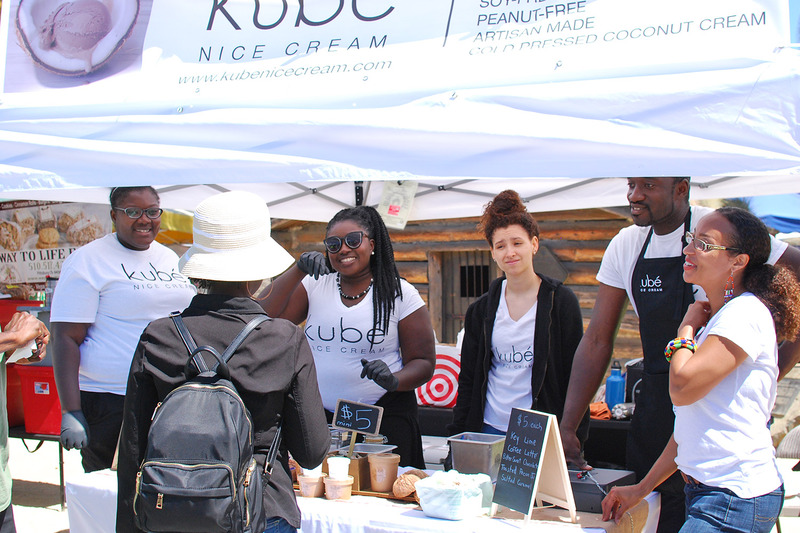 Visit Kubé Nice Cream at Jack London Square Farmers Market this Sunday, and look forward to future pop-ups from Mandela MarketPlace, such as Thank Que Grill starting in September. Coconut and ingredients photos from Kubé Nice Cream.